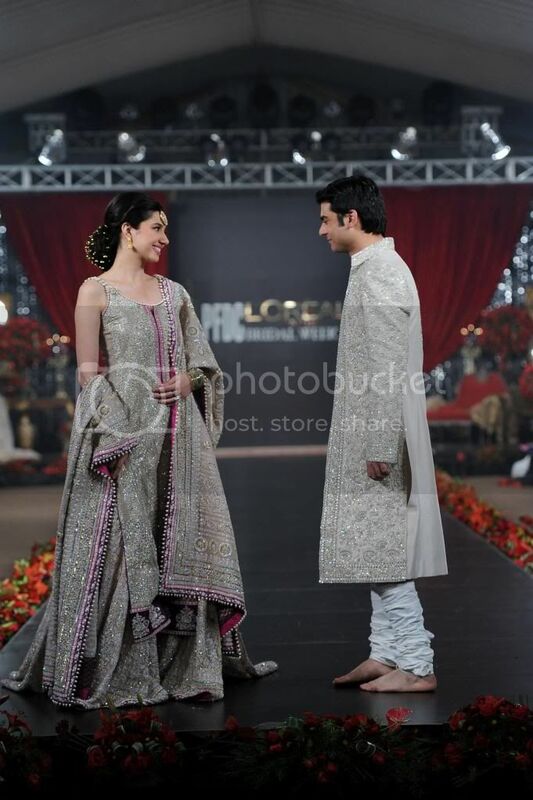 [December 22, 2011]: L’Oréal Paris, the world’s leading beauty brand, and the pioneering Pakistan Fashion Design Council [PFDC] presented the fourth and final day of the PFDC L’Oréal Paris Bridal Week - a platform that endeavoured to define and present contemporary and traditional Pakistani Bridal fashion, jewellery and make-up trends, which together created the ‘look’ for the Bridal Season 2012. 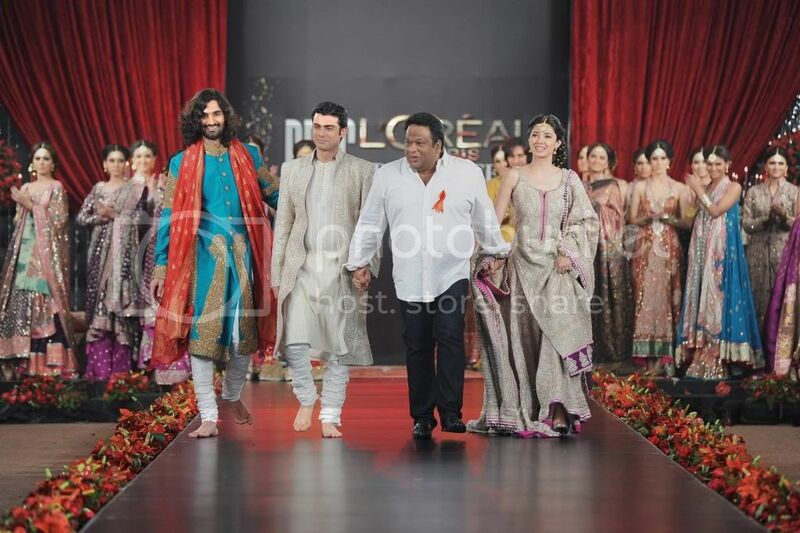 The fourth day of the PFDC L’Oréal Paris Bridal Week included three fashion shows and one solo jewellery show. 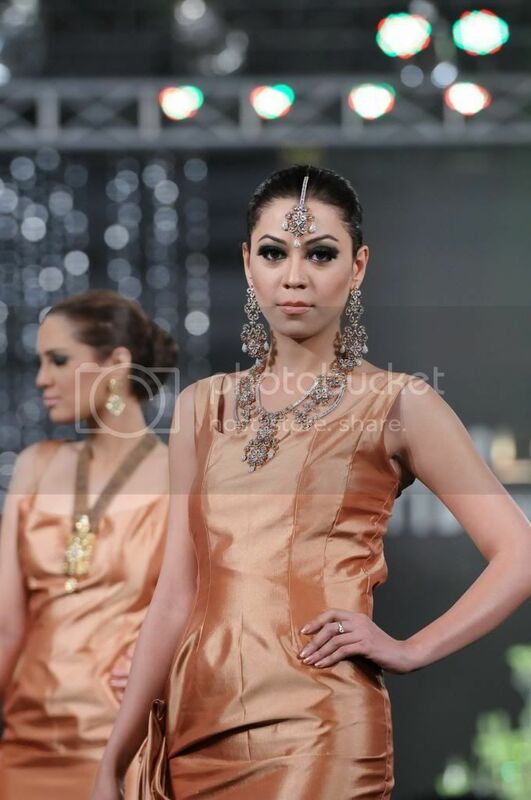 Bridal fashion showcases were by Karma, Nida Azwer and Umar Sayeed and the jewellery show was by Damas. 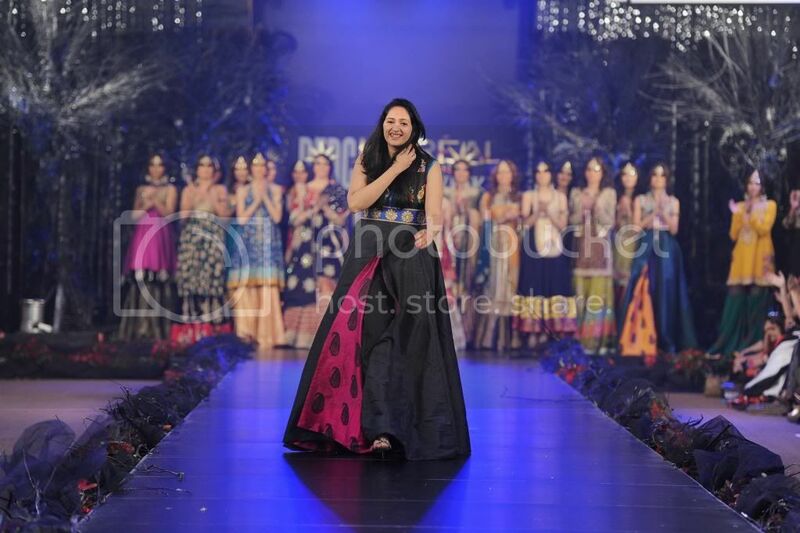 The day was attended by celebrities, media, the fashion fraternity and buyers/stockists such as the Manchester based Imani Studio and the Pakistani based Ensemble. 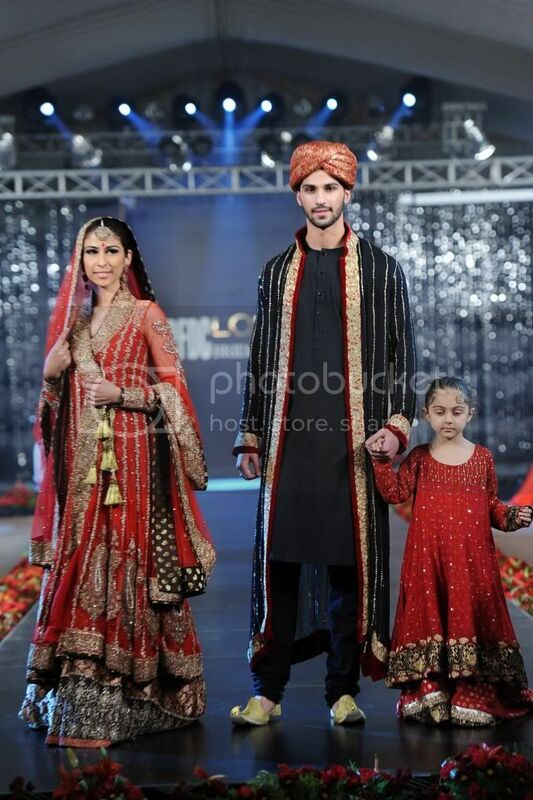 Each day of PFDC L’Oréal Paris Bridal Week was styled by a different creative team and to this end models on Day 4 were styled by Ather Shahzad with men’s styling by Khawar Riaz for all shows except for Umar Sayeed's which was styled entirely by Ather Shahzad. 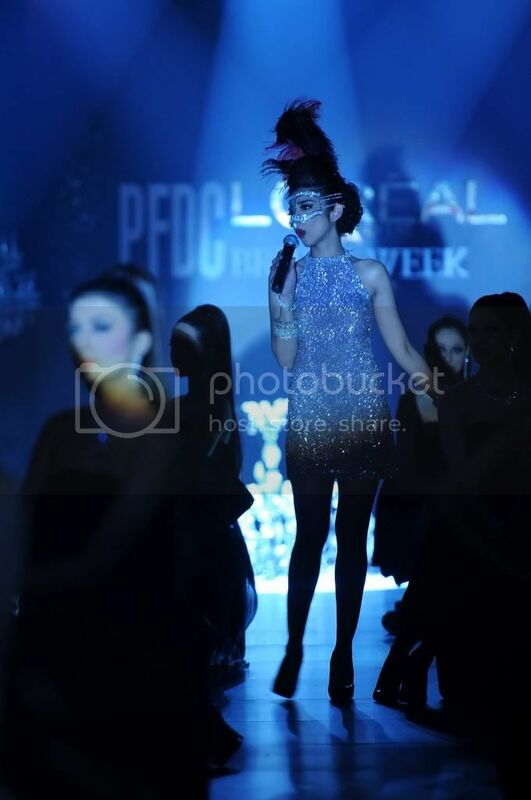 The PFDC L’Oréal Paris Bridal Week has been produced by Catwalk Productions, with event coordination by R-Team, set design by Hamza Tarar, official photography by DragonFly and public relations by Lotus. 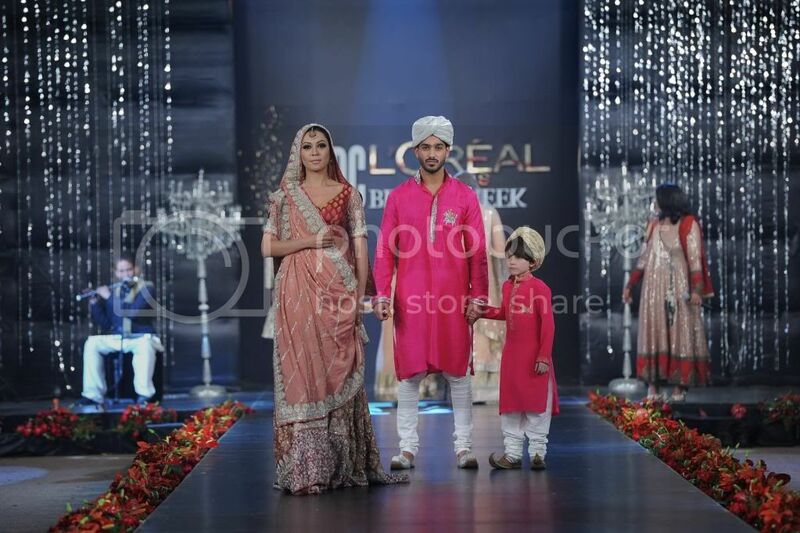 The Black Carpet for PFDC L’Oréal Paris Bridal Week was sponsored by Damas. Entitled ‘Enchanted’, Karma presented a collection which derived its inspiration from dark fairy tales, their feared villainesses and beloved heroines. The mood was dark and the colour palette was an exploration of velvet noir, evil jewels to candy wrapper pops and an amalgamation of both, the showcase also featured trousseau to bridal wardrobe and mixed up the silhouettes to make the age-old contemporary, adventurous and strong. Karma remains for the strong fearless woman who is always the adored star of the show but wears her dark twisted side with pride. 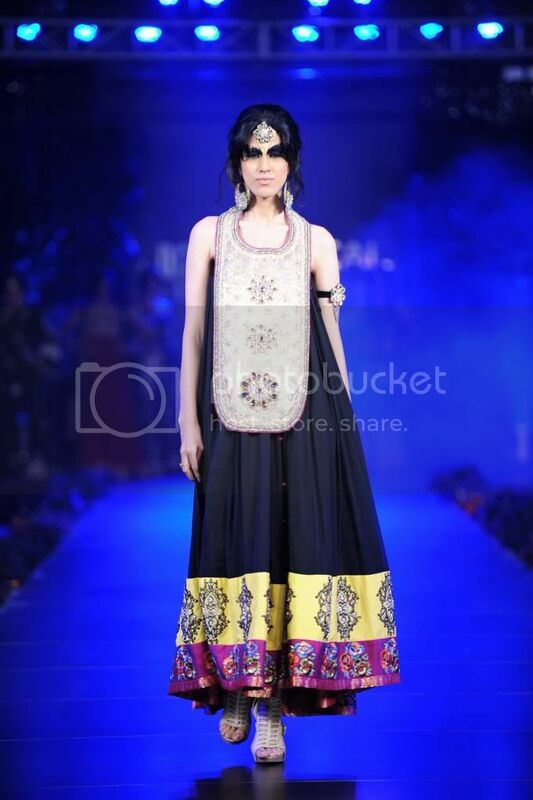 It was an ode to the darkly beautiful and the layered luxurious. 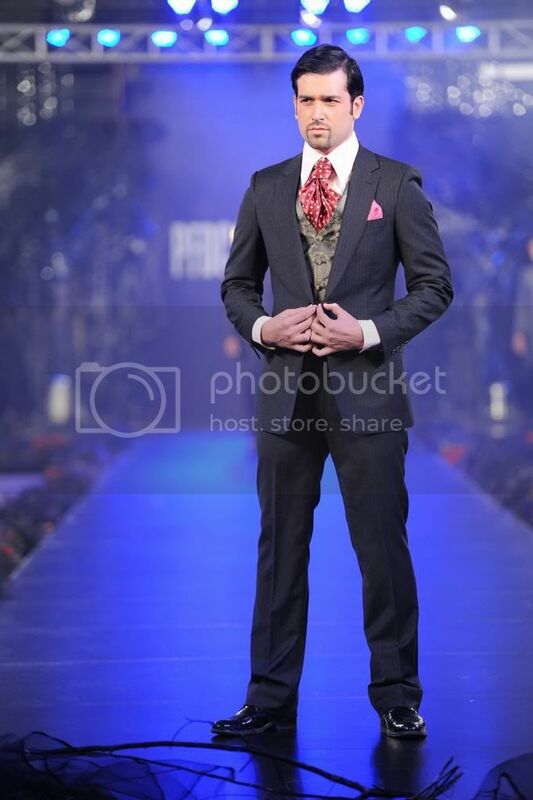 Menswear was also seen on the Karma ramp as designed by Ammar Belal, who showcased a capsule Menswear’ bridal collection. Founded in 2000, Karma has completed a definitive decade in fashion. 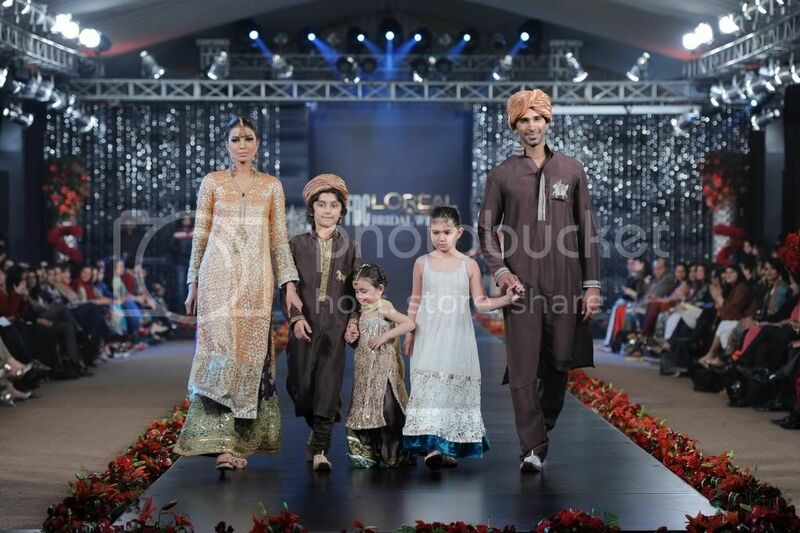 The journey began with the aim of capturing its share in Pakistan’s growing couture industry. Driven by principles of originality, glamour and professionalism, the team at Karma embraced its mission giving first priority to satisfying its clientele. Karma consists of three brands, Karma Pink (Prêt), Karma Red (Couture) and Karma Princess (Girls Age 1-12). Today, Karma is known to deliver style, taste and elegance and in doing so, it is revamping the image of the eastern girl. With Maheen Kardar Ali as the fashion force behind the label and Saad Ali as CEO, Karma has not only won the Lux Style Award three times which includes the Best Womenswear and Couture in Karachi and Dubai and Best Prêt Wear for Karma Pink in Malaysia but as a company, revolutionised its sector as the market leader in providing a high fashion retail experience. 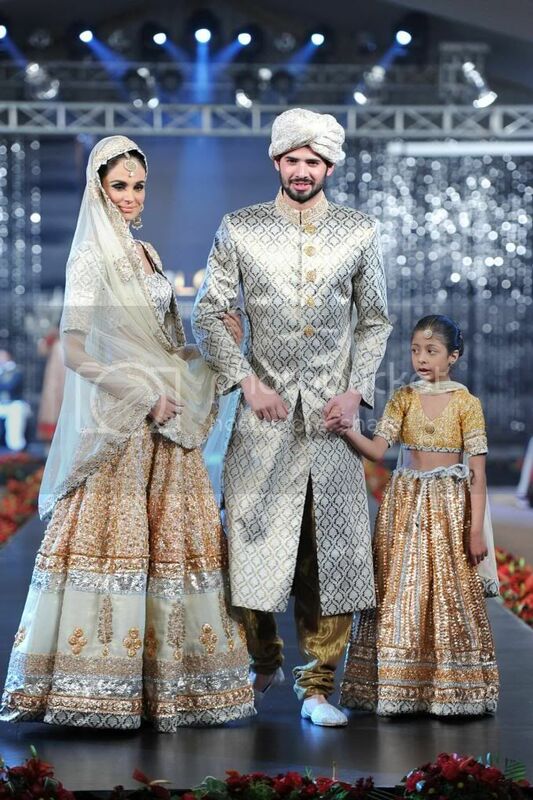 The second solo fashion show of the evening was by Nida Azwer with her bridal collection, entitled the ‘Awadh Court Collection’. The collection spelt tradition, culture and heritage, in harmony with the designers’ signature style of merging vintage craftsmanship with modern sensibilities. 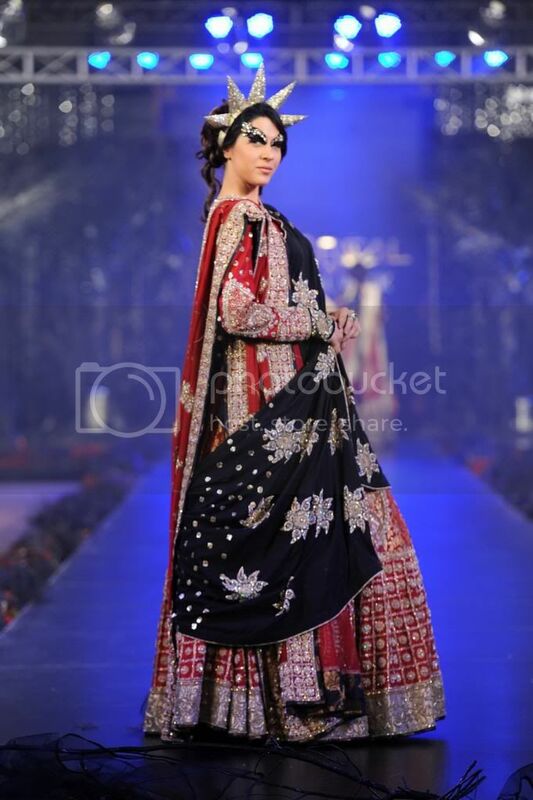 Nida’s collection drew inspiration from the Awadh Dynasty's rich and royal cultural heritage which was known for its grandiose traditions and opulence, in the early 18th century in the Sub Continent. With attention to be found in the intricate detailing, classic cuts and embellishments in Zardozi and Ari with Swarovski crystals, Nida’s collection was based in hues of red and pink, ivory and antique gold. The design house used pure hand woven silk, lamé and pure French lace for this collection. While the Awadh Court Collection was predominantly a womenswear collection, this was the first time the designer introduced pieces of menswear couture alongside her bridal wear for women. 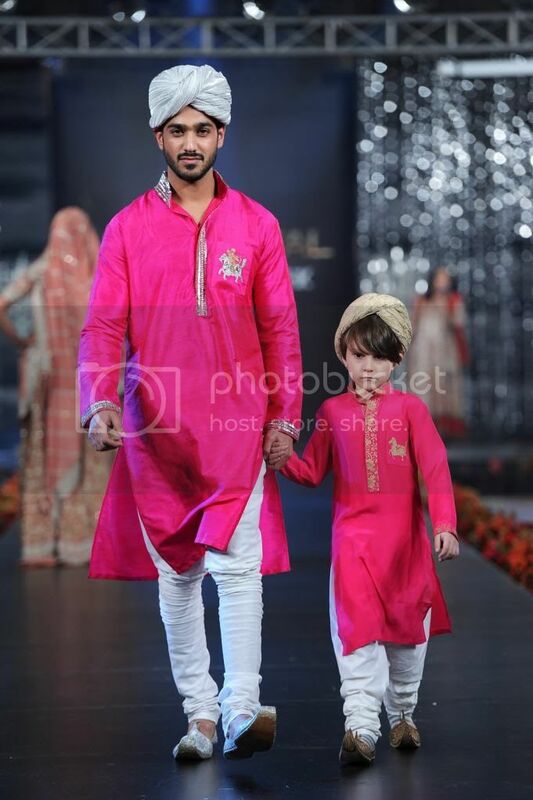 The label also showcased its exclusive line for children which was introduced earlier this year and is retailed by the name Nida Azwer Kids. Sufi musician Sanam Marvi sang live for Nida Azwer. 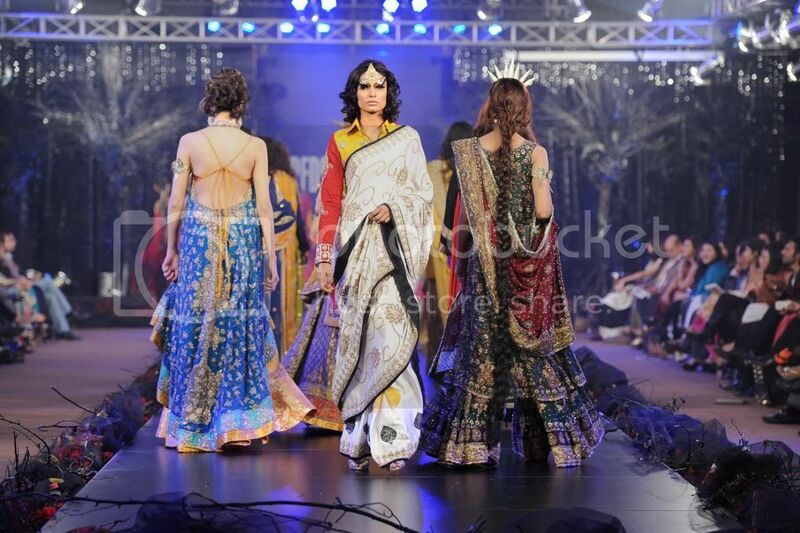 Nida Azwer has been designing and working in fashion under the aegis of her eponymous label since 2005. Her label includes Bridal, prêt-à-porter, Couture lines with her most recent fashion expansion being an exclusive line for children. In a further organic extension, the fashion house will also be introducing a Prêt a Porter menswear line between 2011 and 2012. 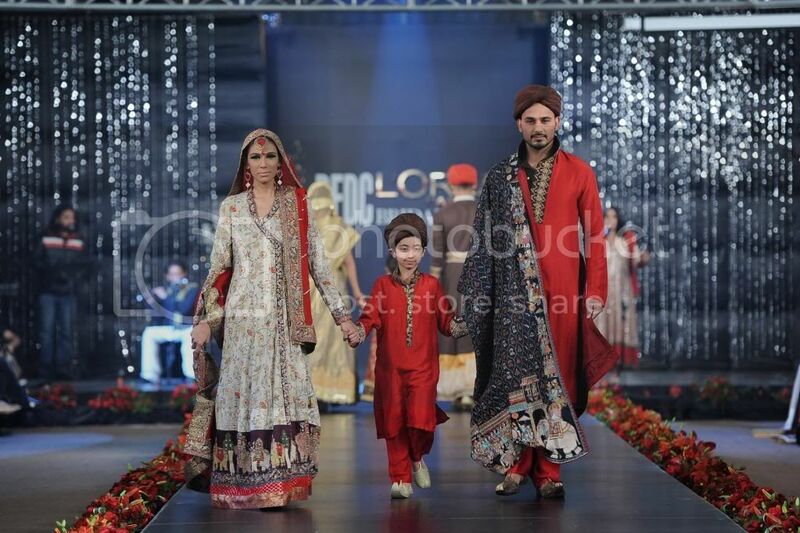 The label has come to be recognised for the designers' love of more classic and vintage design elements infused with traditional Pakistani craft such as ‘tukri ka kaam’, ‘rilli’, ‘kantha’, 'zardozi' and miniature embroidery worked into contemporary fashion silhouettes. 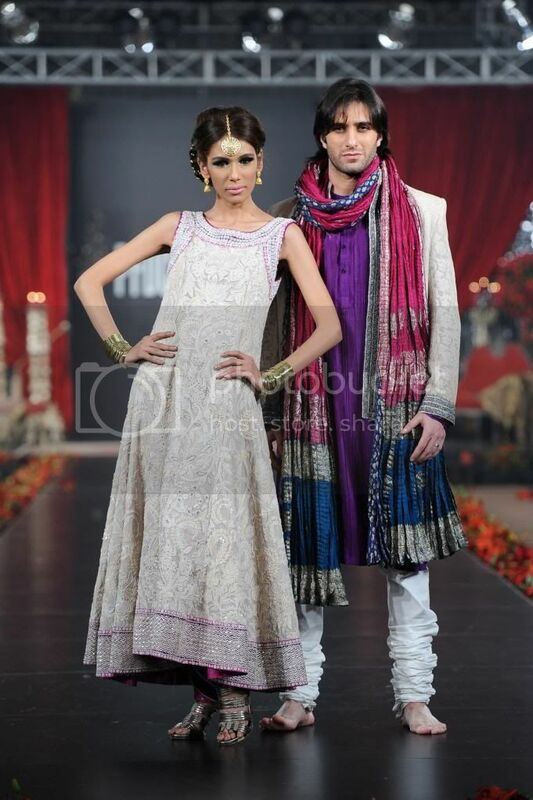 Everything made under the Nida Azwer label is hand-worked in Pakistan using only pure fabrics including Irish linen, chiffons, hand-woven silks and brocade. 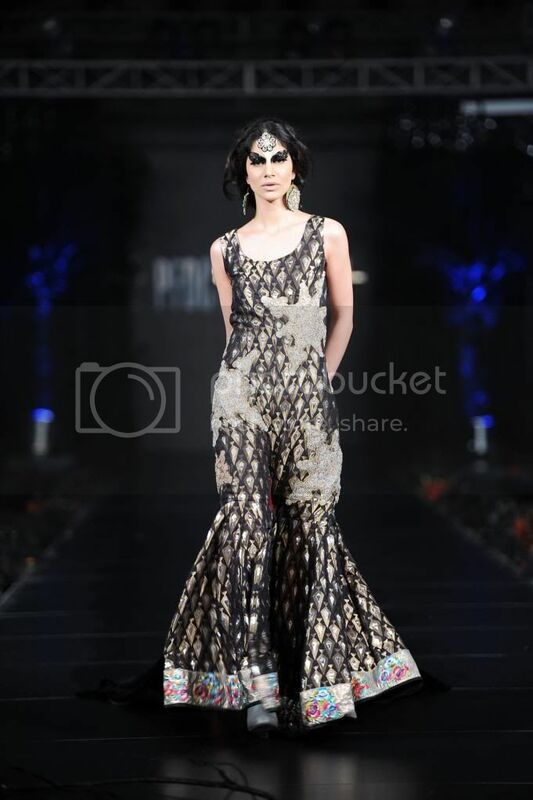 Indeed Nida Azwer is best known for infusing her label with attention to detail, innovative cuts, silhouettes and tailoring. 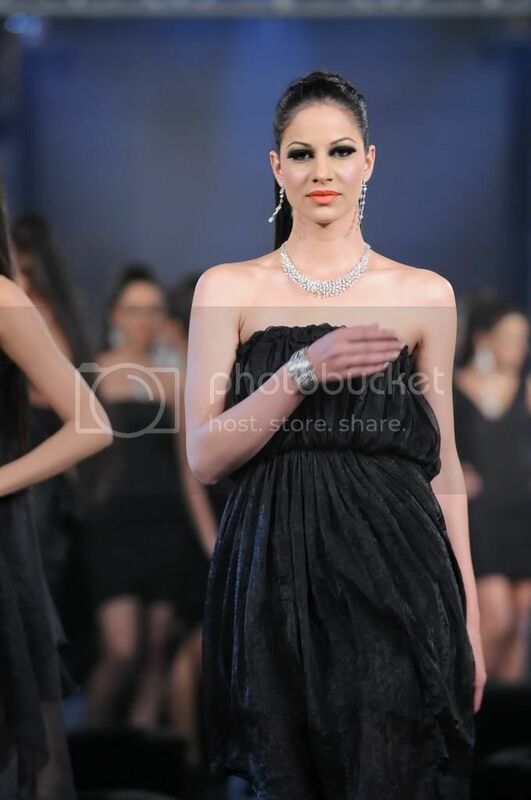 The showcase by Damas was the third and last solo jewellery show at PFDC L’Oréal Paris Bridal Week. The multinational jewellery brand presented a wide array of its brands including: Marco Bicego, everyday luxury jewellery reflecting Italian craftsmanship; Mikimoto, originator of cultured pearls which reflected the mystery of creation, combining the best of both worlds – traditional elegance with sophisticated modern design; Boudoor, the popular trilogy collection inspired by the different phases of the moon; Nakshatra’s diamond jewellery which reflected a slice of the night sky and the luminosity of countless stars and romance, a tribute to the beauty of the Marquise diamond. In addition to the above, Luca Carati, Fope Pasquale Bruni, Roberto Coin Jawaher, Kiku, Legacy and Manthourah were also a part of this showcase. 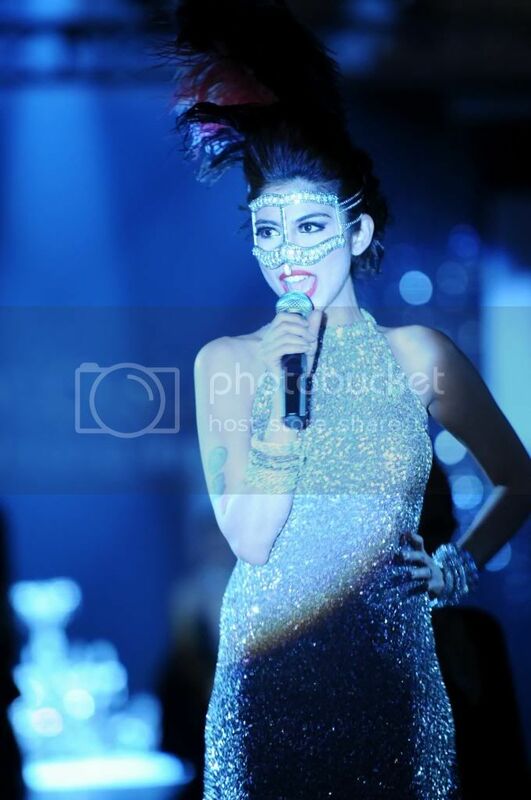 L’Oréal Pakistan spokesperson Meesha Shafi opened the Damas showcase singing 'Diamonds are a girl's best friend' live on stage. Damas is a leading international jewellery brand present in 18 countries with over 300 stores worldwide. 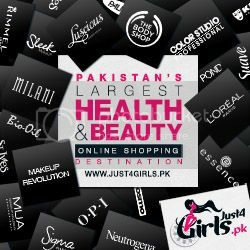 The Group has been operating since 1907 and its network of retail outlets exist predominantly in the Middle East, India, Europe and North Africa. 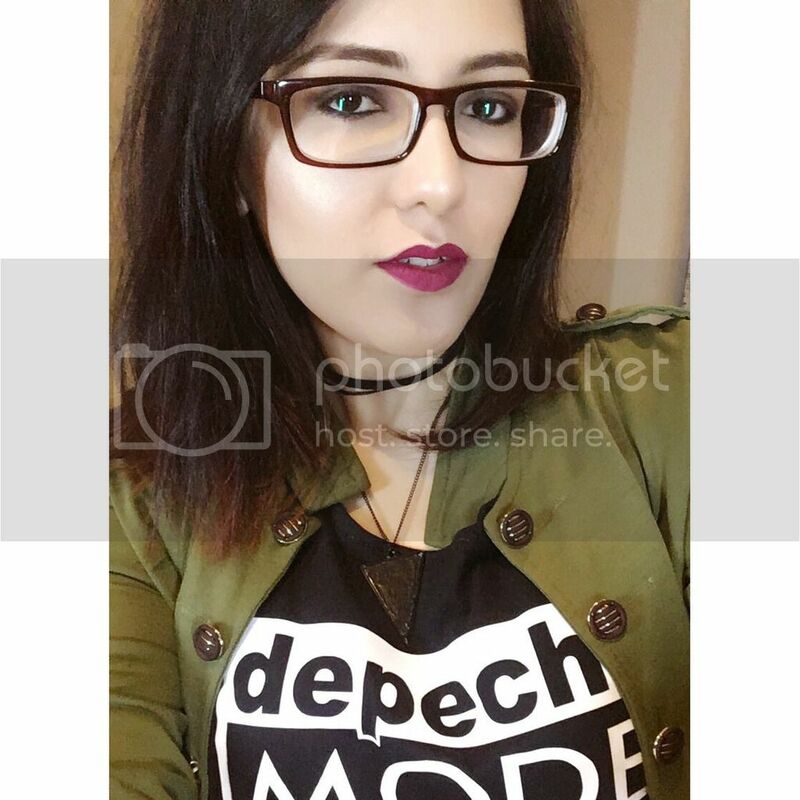 Presently, Damas has three outlets in Lahore and is planning to launch a number of outlets within different cities of Pakistan in the near future. Alongside its own branded products, Damas also retails international products from over 25 leading global and regional luxury brands such as Stephen Hafner, Mikimoto, Roberto Coin and Riwaya. 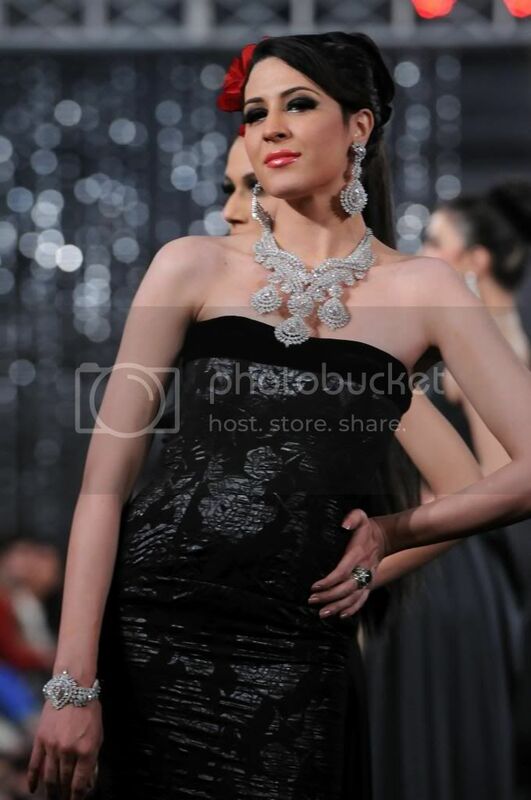 For innovative bridal jewelry, brands such as legacy, Nakshatra and Jawaher and others are offered along with the classic signature line from Pakistan. Indeed with the aim to delight its customers, Damas offers luxury wrapped in trust with the help of a team of dedicated professionals. 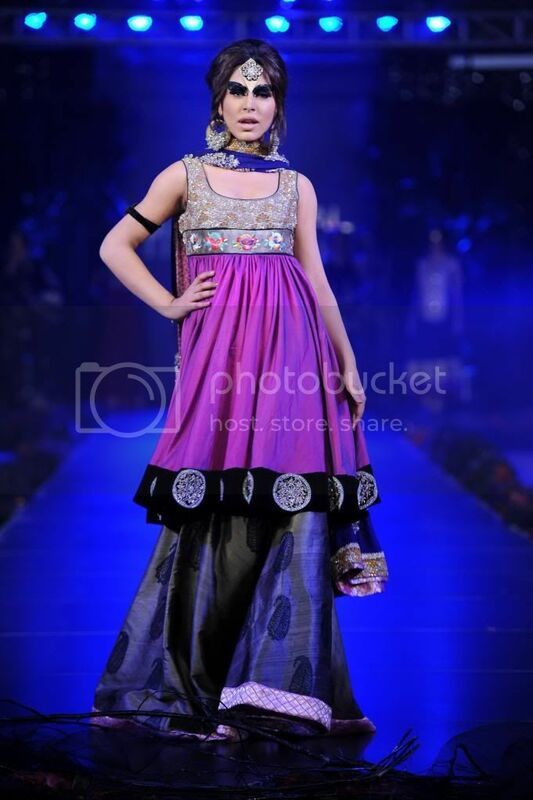 The brand was established with the mainstay of adorning women – to make them feel precious and loved. The brand endeavours not only to make women feel beautiful, but also to educate them about gems and jewellery and develop an understanding of the art pieces they take home. 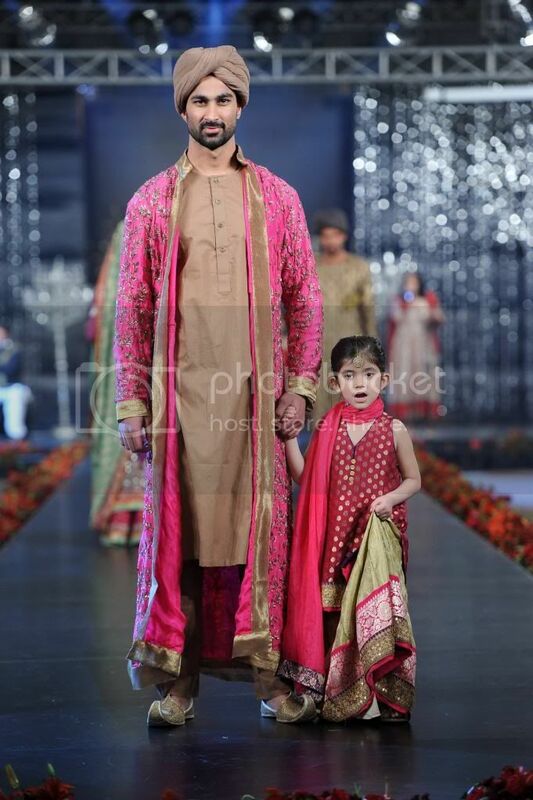 The final show of the last day was by Umer Sayeed, who is often credited as amongst fashion’s design masters in Pakistan. 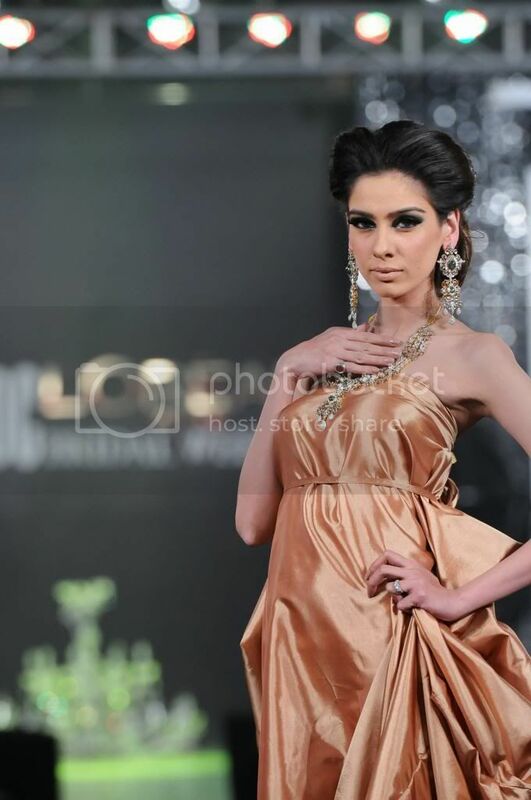 Umar Sayeed has been on the national fashion radar for the last two decades, renowned for his ultra-chic and understated glamour as manifest across his lines which include Bridals, Couture, Formal wear, Prêt-à-porter and Menswear. 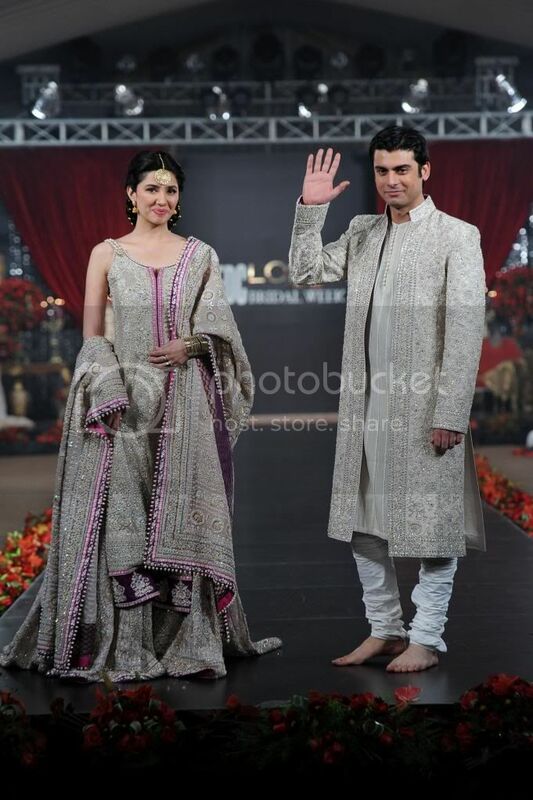 His bridal showcase was opened and closed by actor, musician and model Fawad Khan and actress Mahira Khan Askari, also lead actors of much acclaimed drama serial “Humsafar”. 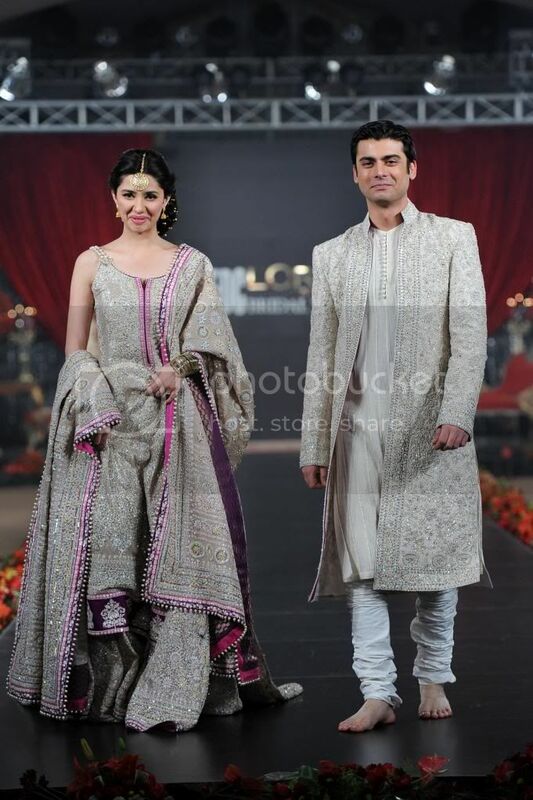 In the past Umar has been the recipient of many coveted awards including the Best Designer award in 2002, 2004 and 2005 at the prestigious Lux Style Awards. A leading name in couture, Umar’s romantic, crystal-encrusted evening and bridal gowns continue to attract brides-to-be from various countries. 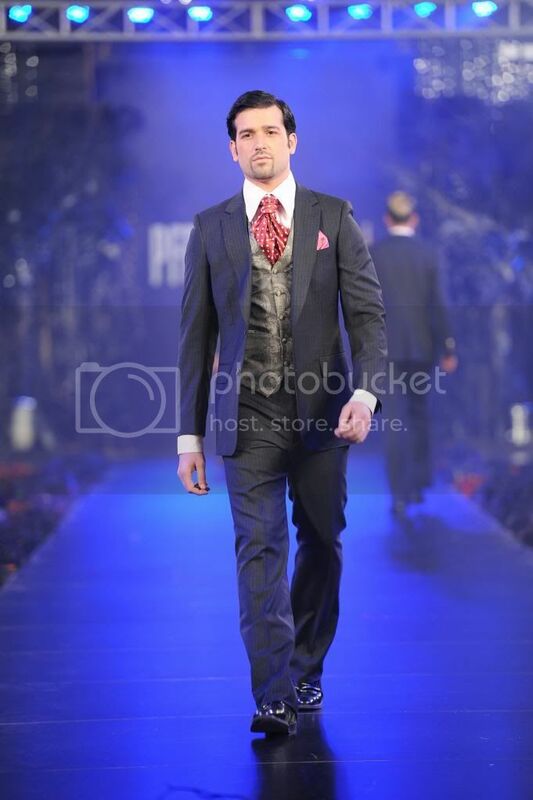 His creations comprise of luxurious details such as hand beading and intricate craftsmanship. 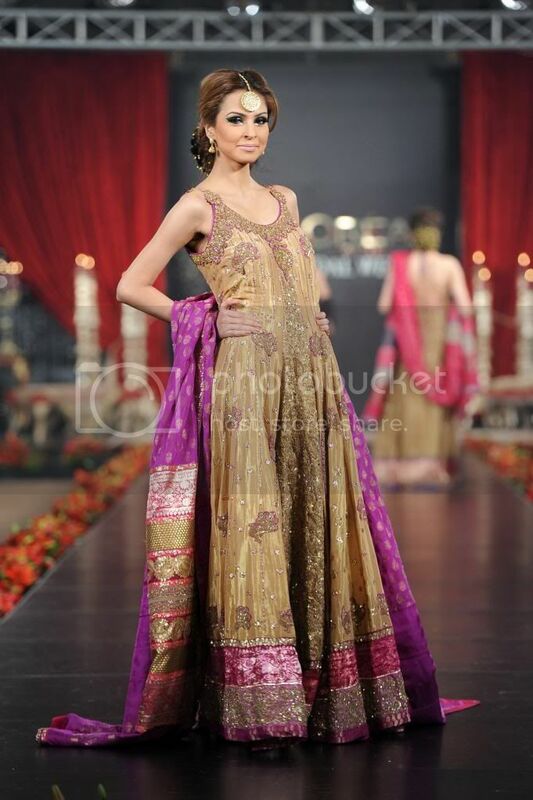 Umar integrates hand embroidery with both delicately complex and bold designs. 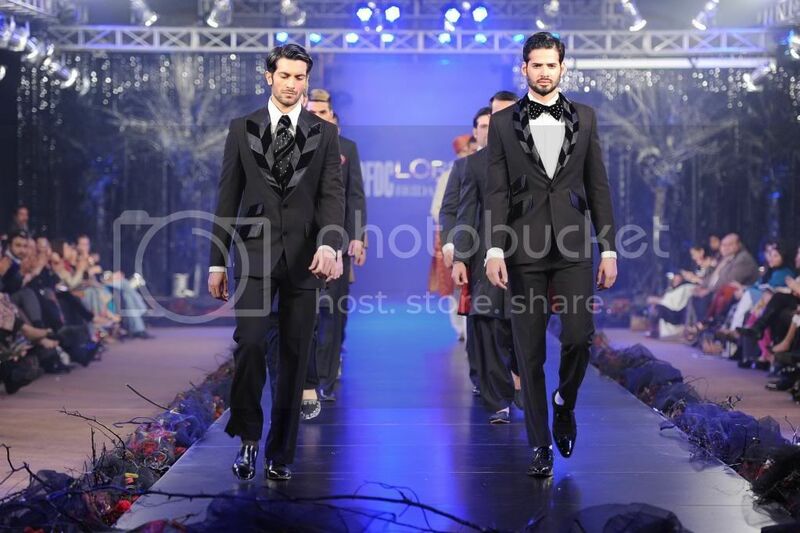 The House of Umar Sayeed also works with select male clients with his exclusive menswear line, including embroidered shirts, formal jackets with well-placed appliqués and fine details. Photography Credits: Faisal Farooqui - Dragonfly. 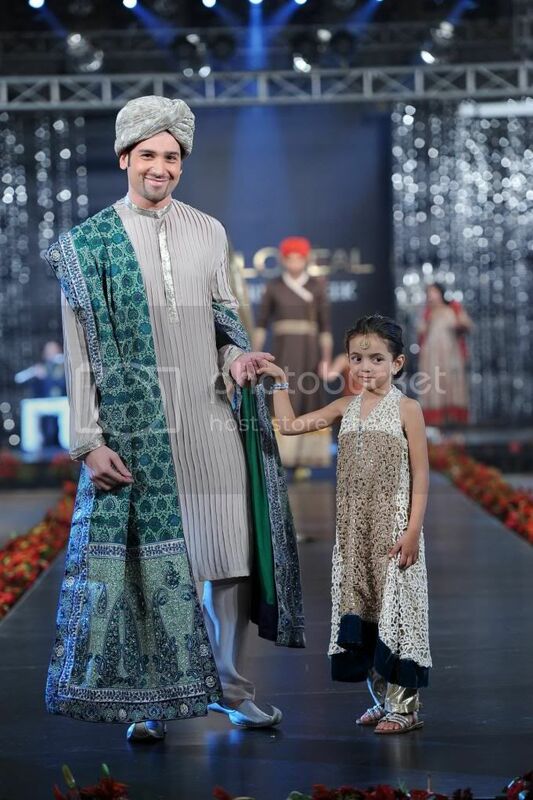 Collection by Nida Azwer and Umer Sayeed are amazing . 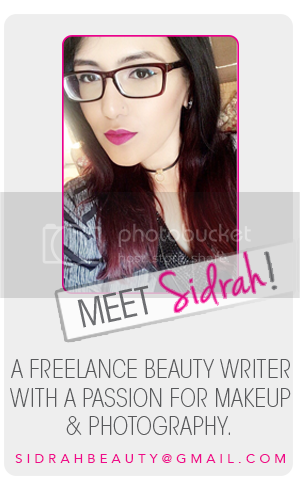 Just wanted to say I love reading your blog and look forward to all your posts! SizeGenie is your personal body scanner. Quickly and accurately take your measurements so you always get the perfecct fit when buying clothes online. Body-Cloud is the creator of SizeGenie, with a Kickstarter campaign on the way aiming to change fashion shopping for good.